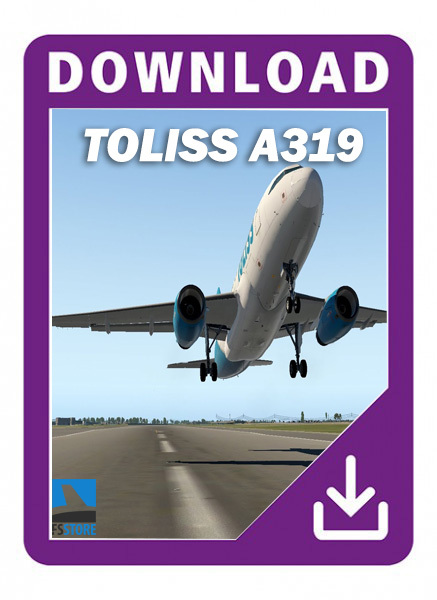 The ToLiss 319 is a 120-140 seat single-aisle mid-range modern state-of-the-art FBW aircraft with a high focus on detailed system modelling. Full VNAV guidance with TOC, TOD, Deceleration point, speed limits, fuel prediction, etc. Flight warning system with ECAM actions supporting numerous system failure scenarios, e.g. engine failures, generator failures, hydraulic failures. Situation loading and saving. It is possible to save the flight at any point in time and resume it another day. This can also be used, e.g., to save the position just before approach and practice just the approach many times. Autosaving allows recovering where you left off, should the X-Plane session end unexpectedly. Jumping waypoint-to-waypoint through the cruise phase: Shorten your flight to focus on the more interesting parts as you like.